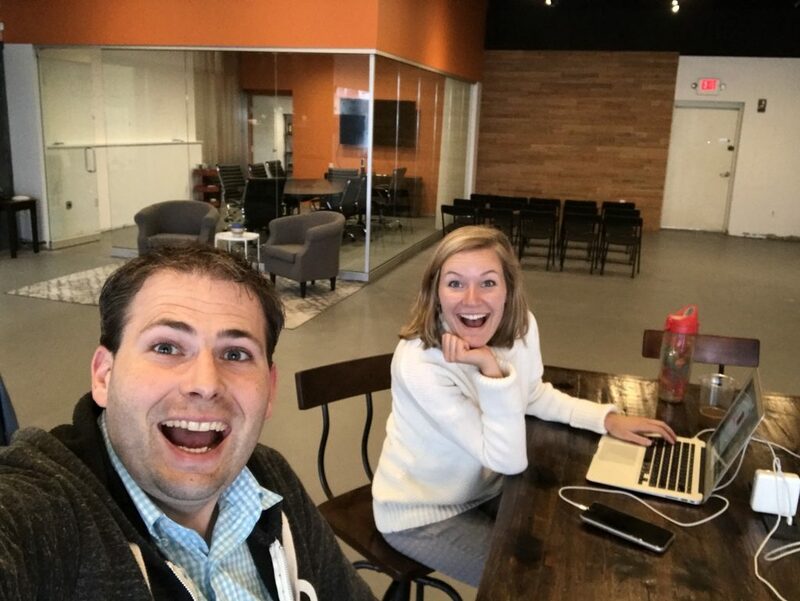 CoWork Fredericksburg is officially up and running now, and I even have a tweet to prove it! Founded in 2013, Reclaim Hosting provides web hosting support for individuals and institutions that want to build out spaces online for personal portfolios, digital projects, and more. 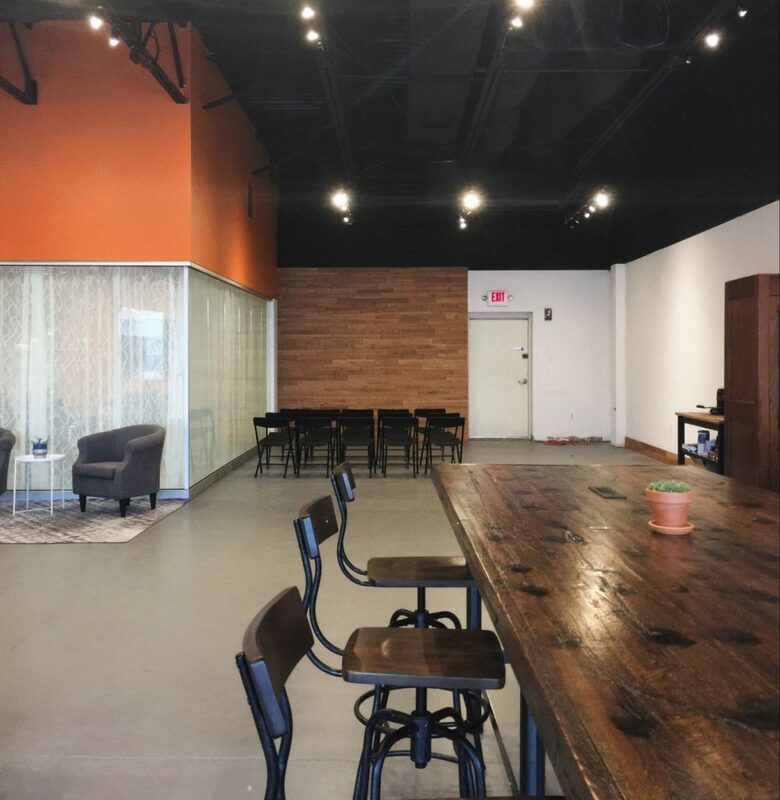 In January 2016, we were invited to speak at an Open Coffee event held at The Foundry, a local coworking space in Fredericksburg, Va. The Foundry was created by a non-profit group called FredXchange, with a mission to build a startup culture that encouraged community and collaboration. As Reclaim Hosting grew, the need for some kind of dedicated office environment was a growing concern. But we didn’t want just any office– we wanted a space where we could also work alongside the community, invite them in, and collaborate. Just like The Foundry. As months passed, we became increasingly aware that The Foundry would be a perfect home base. So in December of 2016, we decided to take the plunge and make The Foundry our new home. We’ve given the space a new name, a fresh coat of paint (to say the least), and a new website. 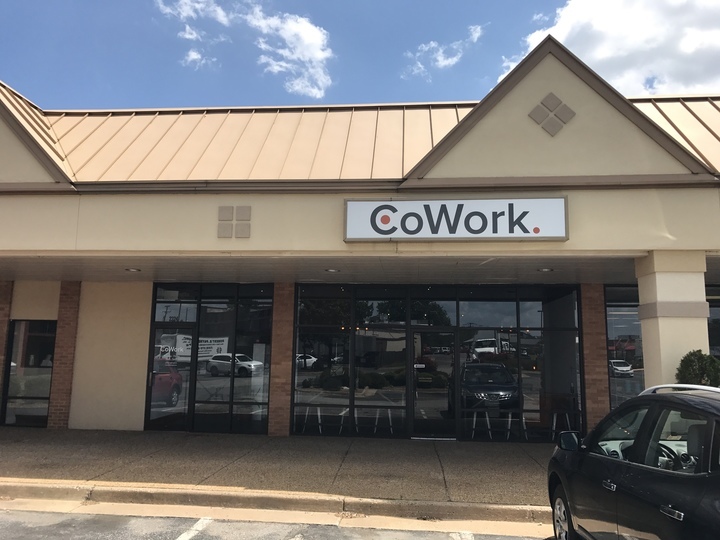 After months of renovations and remodeling, we opened our doors as CoWork Fredericksburg in May 2017. We’re committed to building the community that FredXchange began, and we sure do hope that you’ll join us on this journey. The space is pretty awesome if I must say so myself. A large, warehouse feel for the main working area with a class enclosed conference room, and a media/private office ticked away in the back. What’s cool is that we basically designed the whole thing on-the-fly, a telephone booth from Ebay here, shelving from Etsy there, farm table from local furniture store, etc. Tim and Lauren Brumfield did the lion’s share of the design and on-the-ground work, and I’m truly blown away by how good it looks from afar. I’ll be there in just over a week, and will be able to enjoy it IRL. The idea is to have a community of co-workers use the space, and given we have priced it pretty affordably ($20/day or $75/month) we are thinking there will be a fair amount of takers. The nice thing is that if it covers our overhead for the space we are already ahead of the game, and anything more than that is a bonus. So in this regard it’s not like we are depending on the space for ends meet. This frees us up to have some fun and experiment with the space, and not be solely driven by a bottom line, a laboratory of sorts. Now that the getting CoWork up and running is pretty much done, one of the ideas I’ve been playing with is converting the storefront portion of the other half of the space, which will soon be empty, into a video rental store. In my imagination at least, it will be a fully operational 1980s VHS video rental store that will rent VHS tapes and VCRs. It will be called Reclaim Video, and I’ll run it remotely from Italy. I’ll have erratic store hours that I run on the web, some kind of Dr. Oblivion like telepresence, and everything will work of a kinda of barter system. I like the idea of automating most everything, yet still being remotely present. I’m imagining it as an installation along the lines of the UMW Console, and I love the idea of having a bizarre presence in the space from 5000 miles away. Anyway, it’s still just germinating as a kinda of crazy idea, but I do think it would be fairly simple to do on the cheap, and it might really be fun. So, if I can convince Tim and Lauren, you may be reading more about my new job as video store proprietor, a growth field for sure! This entry was posted in CoWork, reclaim, ReclaimVideo and tagged CoWork, reclaim, ReclaimVideo. Bookmark the permalink. So jealous – would love a co working space here. Reclaim to have a UK base in Leicester? Well, UNCLE Jim, your new space looks pretty swell. I think I would like to come down for a visit and would want to book in at $20. Plus, if you were looking for someone to take over the remote screen in the video store sometimes when you are not at your WebCam, then I’m sure I could put a nice pretty face forward for anyone who might wander in. Is there a stoop at the main entrance, or do they walk straight in level with the street? I can also run your security. No steps, you’ll be sad to know. But I am totally hiring, so you can be Reclaim Videos very first employee! I’d love to setup a Twilight Zone section of the store as well, and perhaps a few posters and dolls? SO glad you are on board, you are truly a true friend.